Is This The Beginning Of The End For BMW's i Division? The market is speaking and BMW needs to respond. It launched to great fanfare only a few short years ago, but right now BMW’s i division’s future seems to be uncertain. 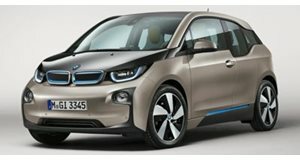 According to BMW Blog, who learned from "several sources," BMW has recently ditched plans for the upcoming i5, which would have been a crossover with technology borrowed from the smaller i3. The i5 represented the next technological step for BMW in regards to EVs and plug-ins, but due to a rapidly changing industry, the automaker will instead focus on the electrification of its existing models. This will specifically include the next generation 4 Series GT and X3, which we also recently reported on. It’s not that the i division has been a complete failure – the i8 Spyder is set for a Frankfurt Motor Show debut this September - but BMW has determined that it needs to properly integrate EV technology into its mainstream lineup as opposed to a quirky sub-brand. For example, Volkswagen hasn’t created an i sub-brand division of its own, and nor has Chevrolet with its all-new Bolt. Vehicle electrification is a big enough change on its own, and retaining a familiar brand name for mainstream customers is clearly essential if any automaker wants them to buy EVs one day. 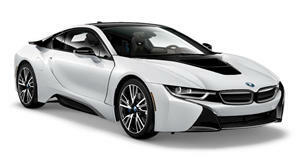 In the meantime, the i3 will continue on, as will the i8, at least until the end of their respective product cycles. What happens after that is still unknown. But what appears to be certain at this point is that the i5 project is effectively dead.